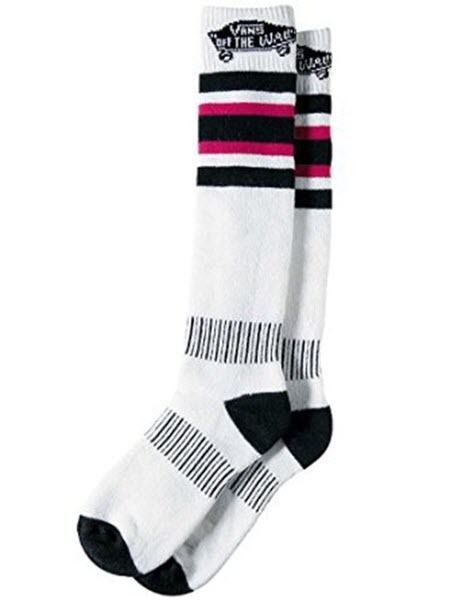 Stance Campvibes Snow Socks White, , Poler is the new purveyor of camping cool, a company that celebrates every level of outdoor enthusiasm in a clever way. We loved the vibe, so we shook hands and made this happen: Stances Campvibes, a collaborative snowboarding sock featuring original Poler art you can take for a trip through the trees. Balancing a bold combination of form and function, every pair offers unmatched style with premium performance, proving you dont have to sacrifice one to have the other. The Campvibes is spun from Merino Wool, a natural fibre that offers incredible warmth and fast moisture-wicking properties, lifting sweat from skin so it can evaporate more quickly. Even when wet, this insulator defends feet from the cold, while anti-bacterial properties means you can last longer between washes without fear of funky smells. For a plush ride, each pair sports anatomically correct footbeds, Y-Gore seams, and extra traction that eliminates lift. A compression fit and elastic panels around the ankles and arches soothes tired muscles and improves circulation, while welt cuffs and a seamless toe closure prevent sock slippage. From the campground to the lodge and all the way up the lift, Stances Campvibes helps you get out and get going.